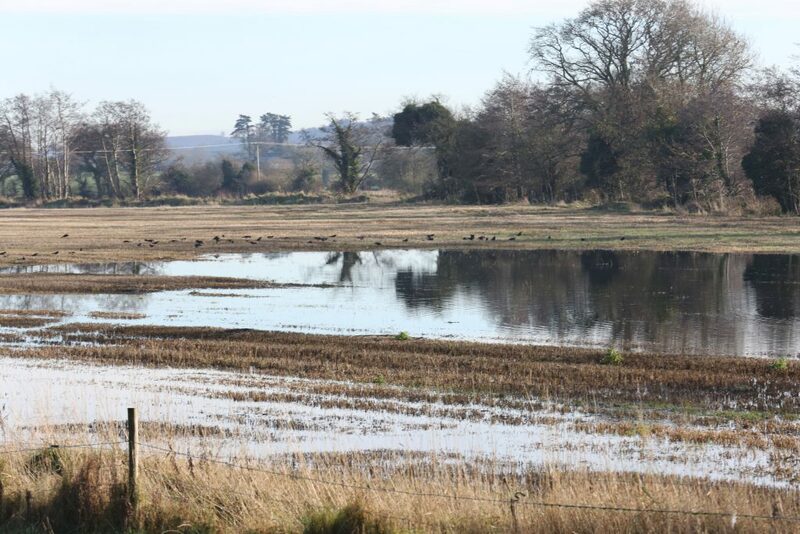 Winter crops had a fantastic start last autumn, but a series of winter storms have caused significant losses, according to Teagasc’s latest crop update. It says an estimated 500ha has been lost from salt burn along the south coast while many fields have bare patches as a result of water-logging and reduced plant counts compared to 2015. Advanced barley is at gs 25-29; wheat at gs 22-24 while advanced oat crops are at stem extension (gs 30). 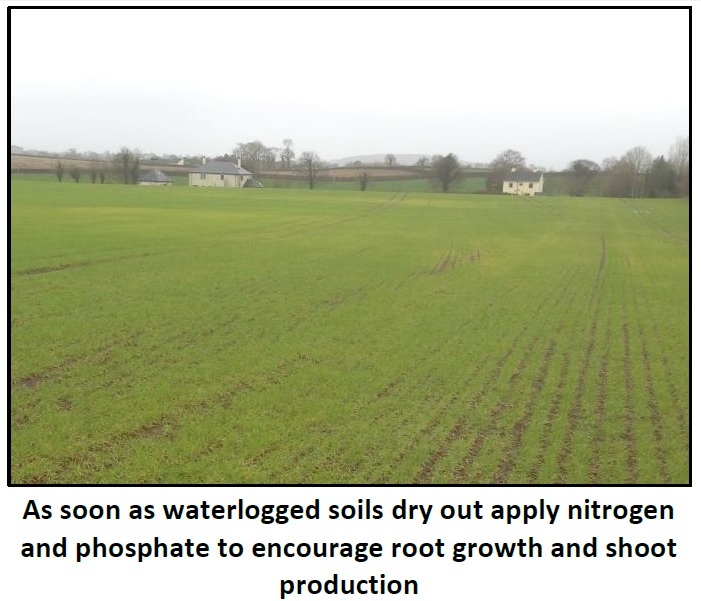 Almost no field work has been carried out since November and growers need to plan work to make best use of dry spells when they arrive. Low profitability is the main concern for arable growers and the whole industry at present. 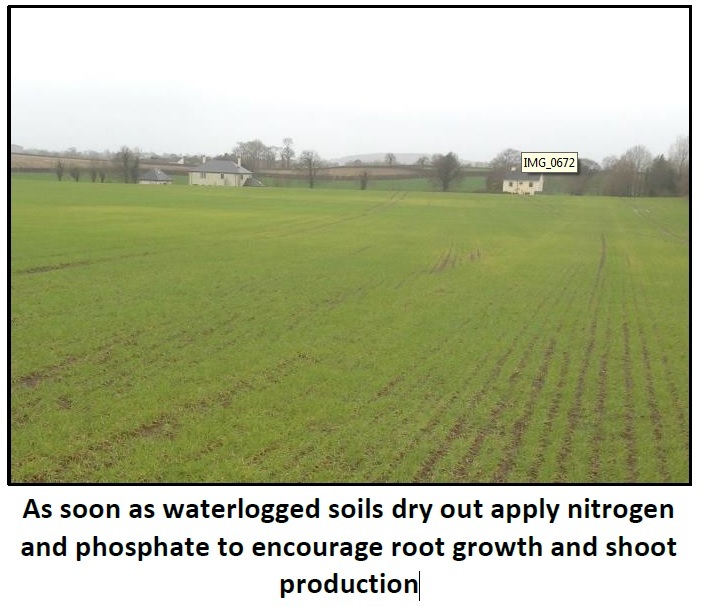 Teagasc strongly urges growers to complete financial analysis before drilling land this spring. Virtually no spring crops have been drilled to date. The area of winter wheat is estimated to be 60,000 ha in 2016, up slightly from the 55,000 ha in 2015. Most crops are tillering (gs 22 to gs 24) with normal disease levels for the time of year. 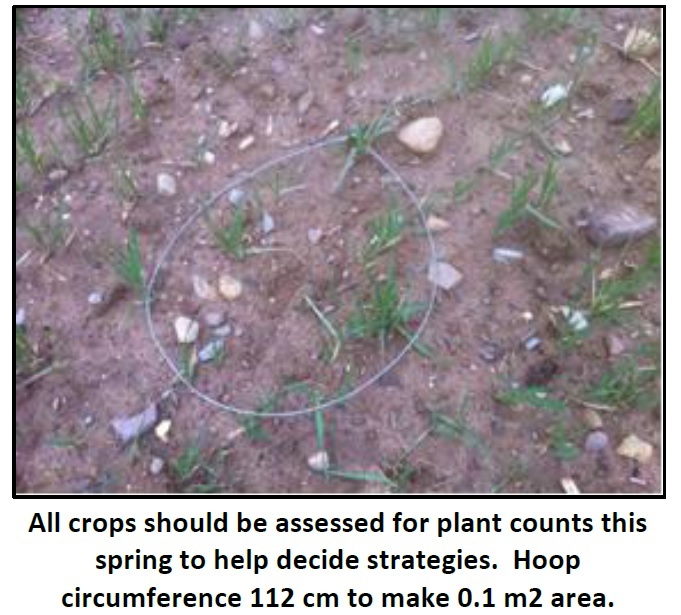 Initial plants counts indicate that crops have lost plants and/or tillers over the winter period. The area of winter barley is estimated to be close to 75,000 ha, an increase of about 7% compared to 2015. Crops on heavier land have suffered from the prolonged wet spell over the past three months with plant death, tiller loss and severe yellowing of foliage. Further south a number of crops have been lost to salt burn due to wind blow off the sea. Crops are no more advanced than normal despite the good growing conditions last autumn. Most crops are at mid to end of tillering stage (gs 25-29). Disease levels (rhyncho and net blotch on 2 row barleys and rust on 6 row barleys) are building in many crops with action necessary shortly. Winter oats area is estimated at 12,000 ha. Crops have generally overwintered well with good plant stands and low disease levels. Most crops are at or approaching gs 30. Crops drilled before mid-October are very advanced. Excellent establishment and good growth over the autumn has resulted in well-structured crops. 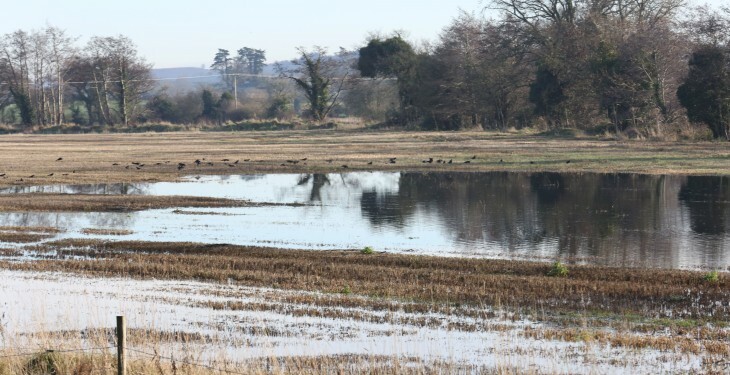 However a number of issues such as delayed weed control and heavy pigeon grazing are a feature in crops Pigeon grazing has been quite severe with parts of fields almost totally bare. 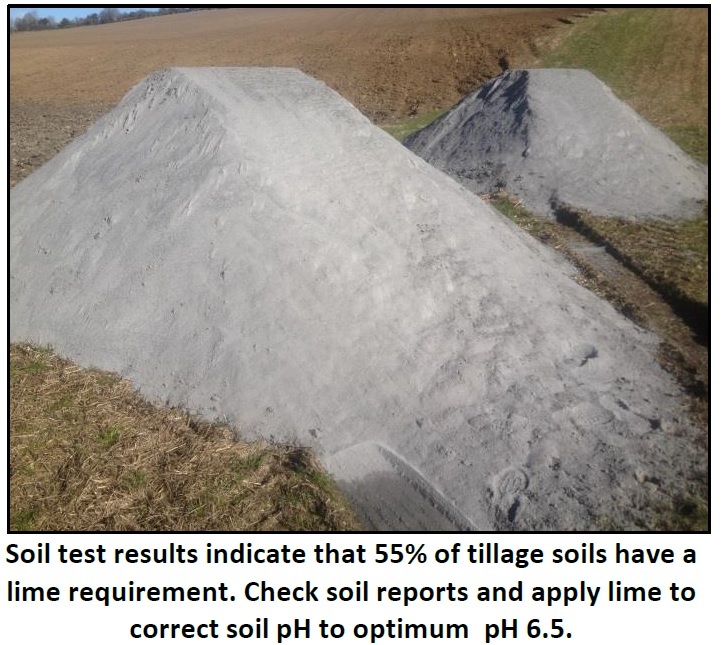 Post-emergence herbicides were delayed (due to wet and very mild weather) and were only applied in January. 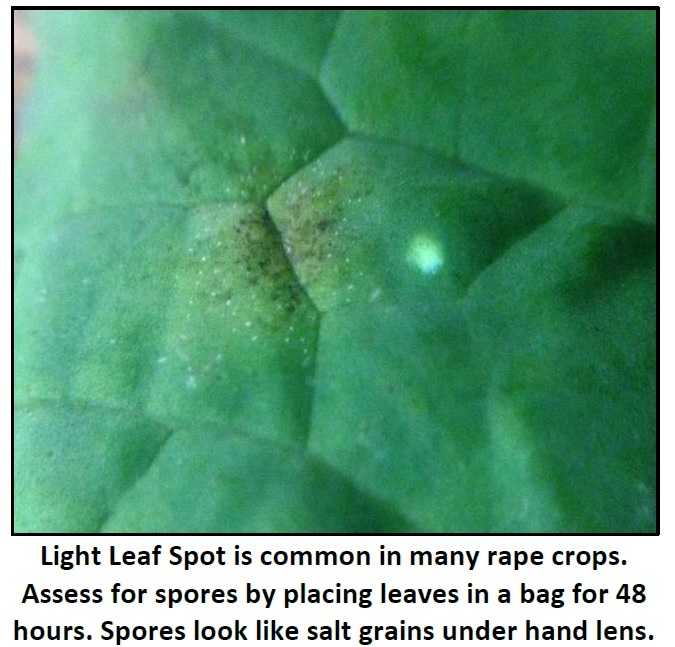 Disease levels are high with Light Leaf Spot now widespread and it remains the biggest threat in crops. Spring beans produced an exceptional national yield of 6.7 t/ha (range 5.5- 9.0 t/ha) in 2015 due to the favourable growing season. Drill spring beans up to mid-March for top yields but watch sowing depth and crow damage. The area of spring cereals, especially spring feed barley is likely to reduce again in 2016 due to low margins and the increased winter drillings. Growers are reminded to plan fertiliser and seed rate strategies before drilling commences. Predicted cereal crop margins for 2016 are significantly lower than 2015. The Basic Payment scheme (approx. 70% of the total payment) and Greening (approx. 30% of the total payment) go hand in hand again this year. Both of these schemes are mandatory to ensure full payment. All applicants who are required to comply with greening have to make the application through the Department of Agriculture on-line system.